Leave a comment on their blogs to let them know they have won the award. I love chocolate. I've never felt guilty about munching away, but I felt positively virtuous when I learned that eating chocolate during pregnancy resulted in happier babies. I am learning how to surf. I'm terrible at it because I don't go out enough, but I love it. I even enjoy tumbling in the waves, which makes up a large part of my surfing experience. I'm also happy just to sit on the board chatting with my friends. My favorite TV show of all time is the short-lived Firefly. Any other Browncoats out there? I much prefer warm weather to cold weather. The most recent book I read was Unbroken, by Laura Hillenbrand. This true story of a World War II bombardier who survives the most harrowing events imaginable (30+ days on a lifeboat in the shark-infested Pacific Ocean after his plane crashes and years being tortured in Japanese POW camps) is a testament to the human spirit and a book that I couldn't put down. My current read is 1Q84, by one of my favorite authors, Haruki Murakami, known for his surreal, philosophical, and pop culture mashup novels. I'm intrigued by it, but this almost 1000 page book is not one to start with if you haven't read Murakami before. 1. Cindy Dauer's The Slumbering Herd: Cindy is an artist who uses Copic markers to draw intricate, colorful, and creative Steampunk and other delightful creatures. She often writes process posts which explain how she does her drawings, which I always appreciate. 2. Leah Palmer Preiss's Oddments & Curiosities: Leah is an illustrator and calligrapher whose odd and curious creatures tickle my fancy. Leah is posting intriguing creatures as part of the Alphabeasts challenge. 3. 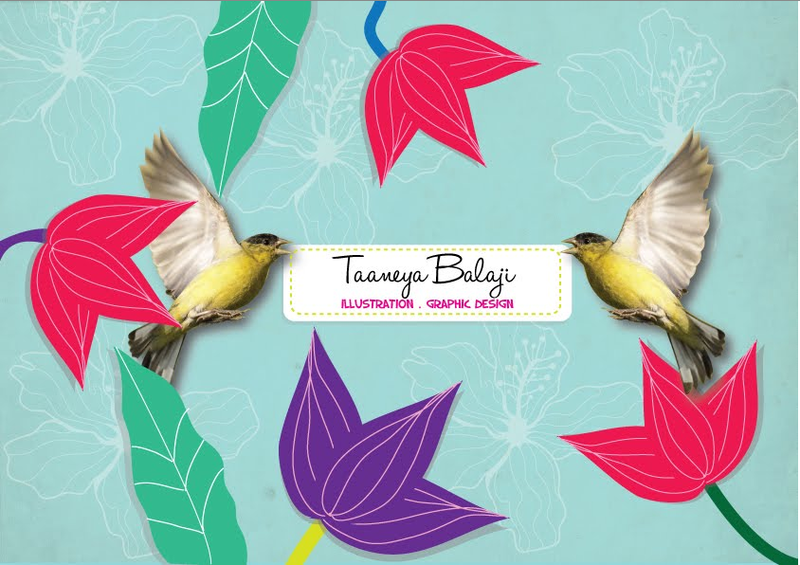 Taaneya Balaji's Wanderdust: Taaneya is an artist, designer, and illustrator whose colorful illustrations and photos of her life in India transport me to a different culture and place. 4. Art and Adventure: Ben Hatke's Blog: Ben posts some cool robot comics on this blog. Cute, darkly funny, with an existential twist. 5. Pixel Shavings: This is bit of a cheat because this group blog is comprised of such a talented list of children's illustrators that each probably have hundreds of followers: Hazel Mitchell, Russ Cox, Fred Koehler, Debbie Ohi, John Deininger, and Sheralyn Barnes. But the blog is worth checking out, with each illustrator taking turns describing his or her illustration process. Thank you so much, Sylvia! I'm honored! p.s. I'm reading 1Q84 too! Thank you so much Sylvia! It is definitely an honor when someone finds my blog and likes my stuff. I am also a big fan of Oddments and Curiosities but I shall have to go visit the others. If I think about how many art blogs are out there well, it's just crazy. Also, hello fellow Browncoat! AND one of my favorite books is "Seabiscuit" by Laura Hillenbrand (not because of the horseracing but because of the brilliantly researched history of an older time in America and her great style), and I actually picked up "Unbroken" a few months ago but still have to read it. Thank you thank you thank you :) The main point of blogging and sharing our work online is to inspire and share the love! Congratulations on your well-deserved liebster award. And thanks for the links- all new to me and very exciting to explore. Thanks so much Sylvia! We're very honored to be included here! !